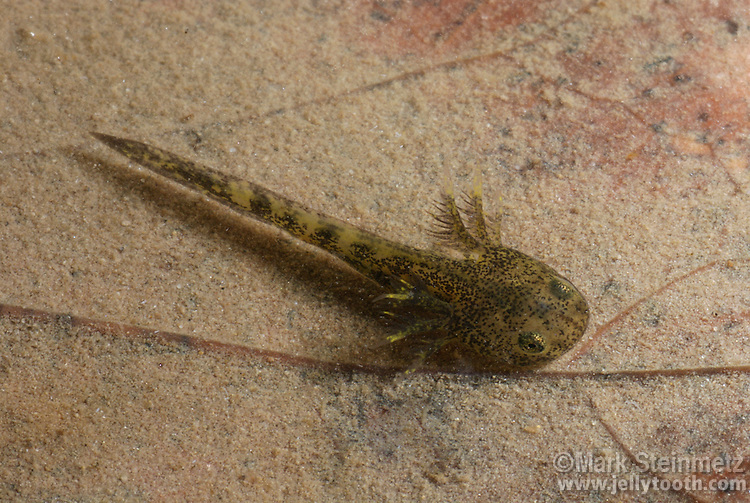 Larval stage of the Jefferson Salamander (Ambystoma jeffersonianum). Jefferson salamanders are among the first amphibians to breed in northeastern North America, often as early as the first warm days of January or February. The larvae are entirely acquatic, usually depending on vernal pools for development. February, vernal pool monitoring, Highbanks Metro Park, Powell, Ohio, USA.